Waze has added three oft-requested features to its Android and iOS apps. This includes adding a mode optimized for motorcyclists, adding support for high-occupancy vehicle lanes, and introducing hands-free navigation for drivers. This is reason enough to give Waze another try. While many of us use Google Maps to get from A-B, there is another alternative in the form of Waze. For the uninitiated, Waze offers realtime navigation with extra layers of information Police Officers Think Waze is Dangerous. Are They Right? Police Officers Think Waze is Dangerous. Are They Right? Waze can "be misused by those with criminal intent to endanger police officers and the community", claims a letter from a police chief to Google. Read More , and it’s a fantastic resource. And now, thanks to a new update, Waze is more useful than ever. The first new feature is a new Motorcycle vehicle type option. This will direct motorcyclist to routes favored by other riders, and the more you use Waze in Motorcycle mode the smarter the routing will become. To enable this feature just go to Settings > Vehicle Type > Motorcycles. The second new feature is Talk to Waze, which Waze describes as “an evolution of existing Waze Voice Commands”. This lets you issue commands to the Waze app by saying, “OK, Waze”, and it’s available in a number of countries. To enable this go to Settings > Sound & voice > Talk to Waze. Last but not least is HOV (high-occupancy vehicle) route support, with Waze claiming its the first navigation app to support such a feature. HOV routes are basically carpool lanes, and Waze will now provide additional navigation options and arrival times for those utilizing them. 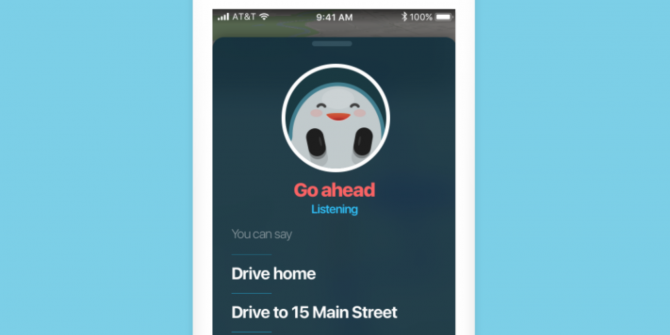 This is only available in 22 cities in the US and three in Canada at launch, but Waze is looking to extend it to more locations. If you carpool then go to Settings > Navigation > Add Toll/HOV Pass, and if you have a fuel-efficient car go to Settings > Navigation > Vehicle Type. These features are fantastic additions to an already amazing app. The ability to Talk to Waze is particularly welcome, as anything which encourages drivers to keep their hands on the wheel is good. If you haven’t tried Waze yet Waze vs. Google Maps: Which App Will Navigate Home Faster Waze vs. Google Maps: Which App Will Navigate Home Faster Waze and Google Maps are both solid navigation apps, but which one is the best? Read More then now might be the perfect opportunity to do so. Do you use Waze? If so, why do you use Waze over Google Maps or one of the other alternatives? Will you be making use of any of these new features? If so, which one? Hands-free navigation? Support for HOV lanes? Or the motorcycle mode? Please let us know in the comments below! Explore more about: Maps, Waze. Mark Zuckerberg Launches His Own PodcastIs Face ID on the iPhone X Any Good? Talk to waze available in Malaysia? Talk to Waze seems only to work when using the phone. It does not work using Android Auto integration. Too bad, was looking forward to using that feature. I have used waze for a few years. Initially my primary reason was to avoid google. Oh well. Google's good idea fairies started messing with code, and waze became unreliable and unresponsive to complaints. The ads are intrusive, invasive, and interfere with safe use of the app. I recently stopped using any such app, but I will give the motorcycle a chance. Waze was a great idea in the beginning, but like so many other apps, google screwed it up.